I don't make New Year's Resolutions but I like to set some goals for myself particularly in sewing. Looking back over 2011 I am pretty pleased with what I achieved, sewing-wise. I worked on seam-finishing as I am always unhappy with just zig-zagging. 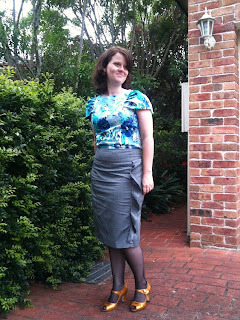 I tried bound seams, pinked, and french seams for the first time in 2011. I spent more time making muslins and trying to get a better fit. I went to Tessuti for the first time! I acquired my mother's sewing machine. I tried shirring for the first time. I completed my first burdastyle pattern. I used my blind-hem foot for the first time! My wishlist for sewing is always much bigger than time allows but I did get some of my wishlist ticked off. I set some goals for the Colette Spring Palette Challenge and knew that it would be a Spring/Summer challenge. 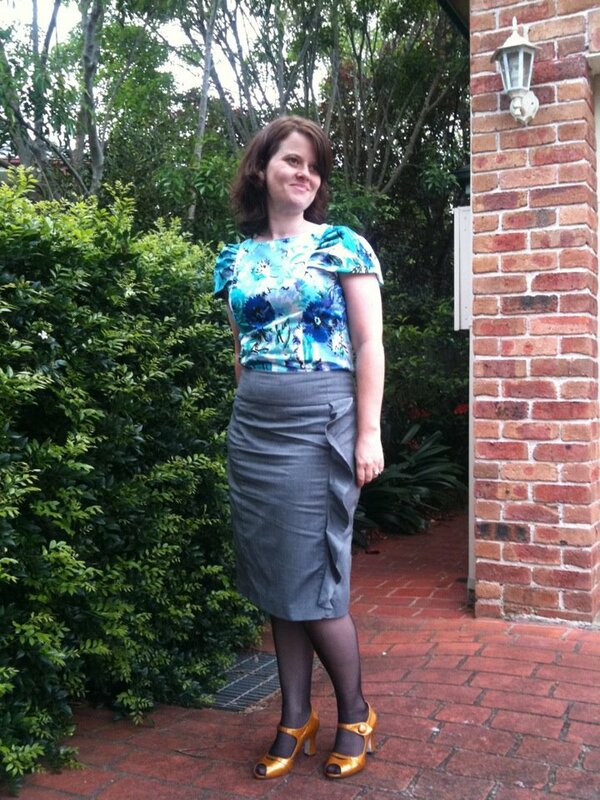 I finished 3 out of 6 -- the crescent skirt, pendrell blouse and lonsdale dress. Technically Summer is still here so I have time to still get more done! I have the peony pattern ready to go. I did actually make a muslin for the shirt dress but the fit was all wrong so I abandoned it. Way back in May 2011 I bought a pattern and fabric to make an eyelet shift dress and I have finally finished it! Photos to come. I had grand plans to make a few jackets but this didn't come off. I did a little sewing for kids -- I made a skirt and jacket for Miss Six and I made a skirt for two of my nieces for Christmas.